To match the rising expectation of wine lovers, we arrange a special wine tour in India that will take explorers to beautiful orchards and vineyards located in the valleys nearby the city of Nashik, Pune and Bangalore. Experience an ultimate wine tour in India with us and have a good time by surveying unique wineries and tasting some of the finest wines. Our wine tour will take you to some great Indian wineries to enjoy the most popular wines and learn all their making and other interesting facts. On your arrival at Mumbai airport, you will be welcomed by our representative & transfer to the hotel. Rest of the day is free for leisure or for your own activities. An overnight stay in Mumbai. In the morning after breakfast you will be going out a full day Mumbai city tour. The first half of the day will be reserve for Elephanta Excursion. The second half will be for Marine Drive, Crawford Market, Colaba, Prince of Wales Museum, VT Station & Hanging Gardens. In the evening you will get Car to visit local market - Colaba, Bandra Linking Road, etc. Overnight stay in the hotel. Next day, after breakfast you will be drive to Nashik 170 kms, approx 03 hrs drive. 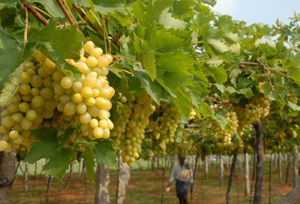 Situated at 2,000 feet above sea level, Nashik is India's leading grape-growing region. On arrival at Nashik, check-in to the hotel & relax. After lunch, visit to York Winery. York Winery occupies seven acres of vineyards overlooking the Gangapur Dam. 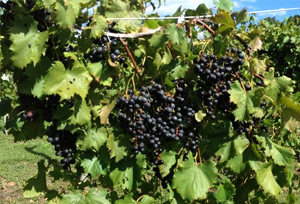 This York Winery’s main focus is on producing fruity and dry wines, rather than sweet wines. York Winery produces wines such as Sauvignon blanc, chenin blanc, rose, shiraz, cabernet sauvignon, etc. York Winery is also a great sunset destination for the travellers. Later, in the evening we will return back to Nashik for an overnight stay. Morning free for leisure. After breakfast drive to Sula Vineyards. Sula is known as India's most trendy and most handy winery. From modest beginnings in the year 1997, Sula has excellently developed into a world class winery. Sula Vineyards is located to the west of Nashik, close to Gangapur Dam. Travellers visiting Sula Vineyards can enjoy Sulafest held here in February & March every year. Return back to Nashik for an overnight stay. After breakfast in the morning, drive to Pune covering a distance of 210 kms, approx 05 hrs drive. On the way to Pune visit Omar Khayyam Vineyard at Narayangaon which is approx 70 kms before Pune while driving from Nasik. Chateau Indage in the high Sahyadri Valley of western Maharashtra has kick-started the Indian wine revolution in the 1980. Chateau Indage sells a range of still wines in the domestic market under the names Riviera. The winery in Narayangaon produces a wide range of high quality wines under the watchful eye of experienced winemakers. After visiting Omar Khayyam Vineyard continue your drive to Pune. On arrival, check into the hotel for an overnight stay. Morning free for leisure. After breakfast transfer to Pune Airport to board the flight for Bangalore. On arrival at Bangalore airport, meet with our representative & transfer to hotel. Evening free for your own activities. Overnight at the hotel. After breakfast in the morning, a full day excursion tour to Grover Vineyards. 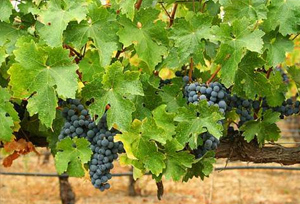 Grover Vineyards is situated at the foothill of Nandi Hills, which is approx 50 kms from Bangalore. It was established in 1988 by Mr. Kanwal Grover and Mr. Georges Vesselle with a view of breathing fresh life into the stagnant wine drinking culture in India. In 1988, nine varieties that responded well to Indian conditions were planted on an industrial scale on 40 acres of land at the outskirts of Bangalore. Presently, Grover Vineyards has over 400 acres under this plantation. Sauvignon Blanc and Viognier are the two white wines & Rosé wine is another variant on offer from Grover Vineyards. Here, you have a chance to get an actual experience of the winemaking process. Starting from the vineyard where a brief history of wines and cultivation is provided, it provide opportunity to leisurely walk around the surroundings and to take photographs, later move to the winery where detailed information regarding crushing, filtering, processing and packaging is provided. After this move to the barrel room where real, imported oak barrels full of La Réserve lie in wait. Here you can taste different varieties of wine. After lunch & exploring the Vineyard, drive back to Bangalore. Evening is free for own activities. An overnight in Bangalore. After breakfast, in some time you will be transfer to the international Airport in Bangalore to Board the flight for home country.